Speaker stands need to be both sturdy and easy to move, KB700S fits on both accounts, giving you a stable environment in which to elevate your speakers to optimum height. Black powder-coated for finish durability, these stands will give you years of service. The strong telescoping and leg collars provide a stable stand for your speakers. 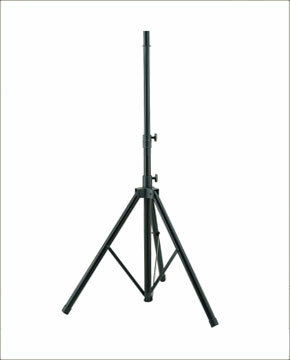 Sturdy yet light weight aluminum speaker stand. Secure height positioning with locking pin. 1 3/8" upper tube with adapter for 1 1/2" speaker mounts. Height adjustable from 42" to 71".